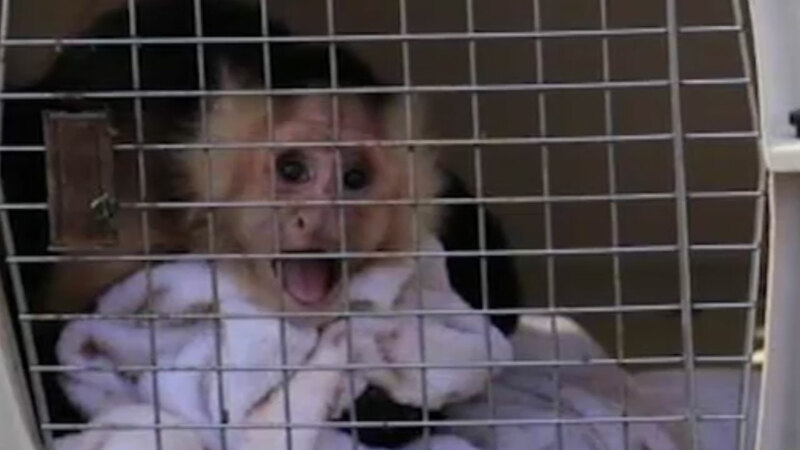 Officers say they recovered two monkeys from a Florida hotel room where a woman died. NORTH POINT, FL (KTRK) -- Police in Florida are investigating after a woman was found dead in a hotel room along with two live monkeys. The body of Linda Marie Smith, 59, was discovered Friday at the Budget Inn in North Point. Near Smith's body were two monkeys contained inside a crate. Officers say there are no obvious signs of trauma, but an incoherent man also found inside the room was questioned and received medical attention. The monkeys are now in the care of the Florida Fish and Wildlife Conservation Commission.